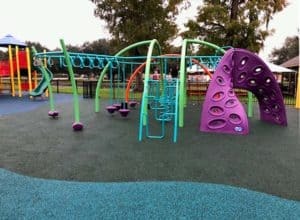 A ribbon cutting ceremony for Sidney D. Torres Memorial Park took place on Monday, October 22, 2018 in Chalmette, Louisiana. 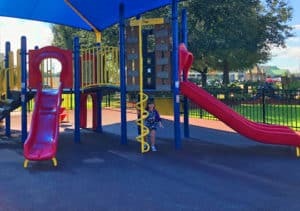 It consists of 19 acres, and is the largest park in St. Bernard Parish. 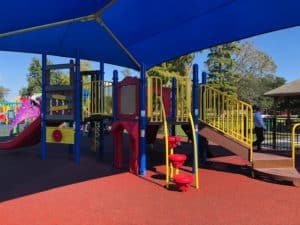 Community members and school children came to celebrate the grand opening of this new, exciting park that contains several playgrounds, a fitness zone workout area, and a concrete skate park. 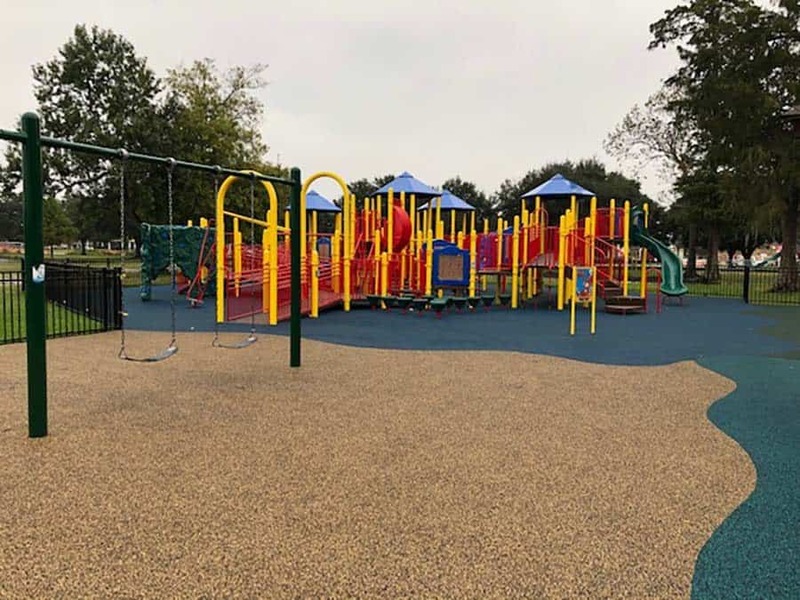 Hahn Enterprises, Inc. spearheaded this amazing project, and provided colorful, state-of-the-art Little Tikes Commercial play equipment, while No Fault provided and installed our No Fault Safety Surface for St. Bernard Parish’s first wheelchair accessible play area. 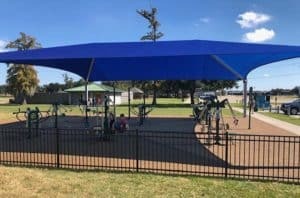 The fitness zone contains 12 workout stations including a rowing machine, ab crunch station, pullup/pushup bars, and our shock absorbing No Fault Safety Surface. 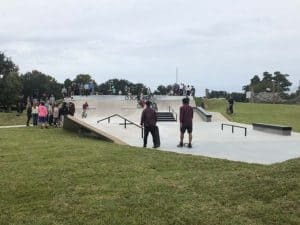 The new Gridline Concrete Skate Park is another great addition to Sidney D Torres Park! 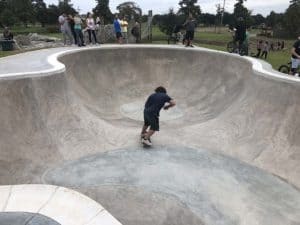 It measures 150 feet x 50 feet, and has an 8-foot-deep bowl with multiple ledges. 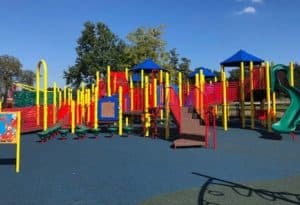 If you are in the process of building a new playground or fitness area, No Fault Sport Group can help! 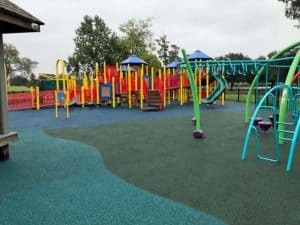 Our rubber surfacing products and synthetic turf are IPEMA certified and designed to provide not only the utmost in safety, but will add greater aesthetic appeal to any play area. 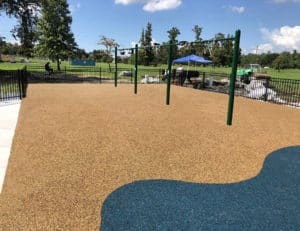 Give us a call at 866—NOFAULT, and our sales associates will be happy to assist you.